What else does arthritis affect? How can CBD help the pain? How do you treat your dog with CBD? Arthritis can make life a hell of a lot more difficult for your pet, and watching them in pain can be heartbreaking. 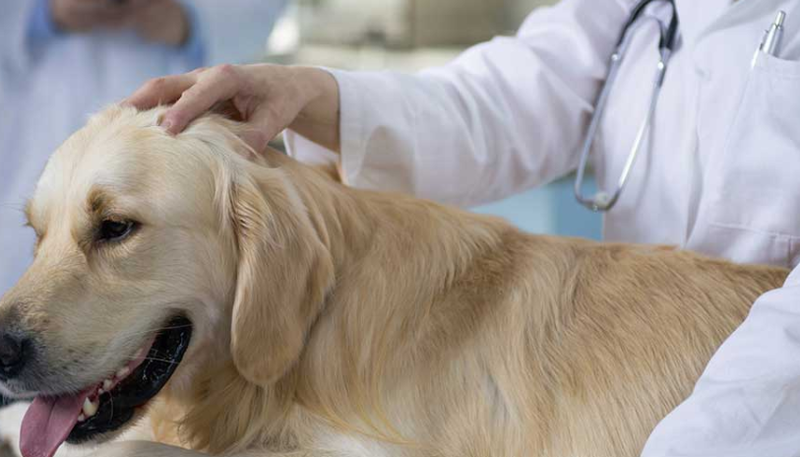 There are a variety of different medications that the vet will offer you, and they can help soothe your dog’s pain, however, these types of medications can have side effects for your dog, which is not always ideal. There is currently a whole load of research that supports CBD, and it shows how CBD can decrease the symptoms and slow its progression. Everyone can get arthritis, even us humans. But is it specifically common in canines especially when they start getting older? Cannabis Supplements For Pets says that it roughly affects up to one in four dogs. There are around 89 million dogs that live all over the United States (this doesn’t include strays). This means that approximately 22.2 million canines are living with arthritis in the United States. Even though it is a very popular condition it’s not always understood. One thing you probably were not aware of is that there are 100 different types of arthritis and related diseases, but all of these tend to fall into the category of “arthritis”. Arthritis is actually caused by painful inflammation, as well as the stiffness of an individual or multiple joints. There are different types of arthritis, and the most common type in dogs is known as osteoarthritis, it also goes by another name, Degenerative Joint Disease (DJD). This is caused by the deterioration of cartilage in the joint. 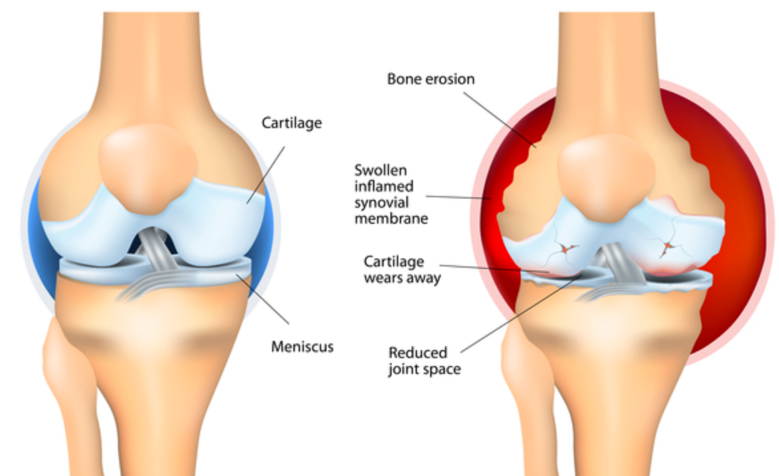 Cartilage is a connecting tissue that is flexible and is actually used as a natural shock absorber in the joints; it is located between each bone. Because the cartilage will start to deteriorate it will cause the bones to start rubbing together, as they are now exposed. Therefore it becomes painful for your dog and can make the joint go stiff. This does tend to affect older dogs because it is normally caused by the wear and tear of the specific joint. If your dog is diagnosed with arthritis it can also lead to your dog developing other problems. One of these is becoming overweight. This is because your dog will be a lot less active, due to it feeling pain every time it moves. Therefore they will not want to move around as much, which will lead to a weight gain. If your dog does start to gain weight after it has been diagnosed with arthritis then it can cause more complicated problems. Because of the increase in weight, it will then add more pressure on the dog’s joints, and it will make arthritis worse for your canine. Therefore it’s so important to keep an eye on your dog’s weight, and it’s always healthy for them to be keeping active, but just make sure you don’t over do it if your dog is suffering from arthritis. If you’re concerned that your dog has put on weight then you can always put them on a diet. If you take your dog to vet because you are concerned that they might have arthritis your vet will need to do some checks first. To do this the vet will conduct a physical examination. Once it has been diagnosed with the condition you will then be offered a range of treatments to help with arthritis. There is a whole range of painkillers and this could even include anti-inflammatory drugs. The most popular medications that the vet will offer you will be either Metacam or Rimadyl. These are both non-steroidal anti-inflammatory drugs. One thing you should also check before giving this to your dog is if it will react with any other medication that your dog may be taking. This is because Rimadyl, in particular, can react with other medications. Because a lot of the medications the vet may offer you can have some quite serious side effects a lot of dog’s owners are now trying to find safer alternatives to help their canine’s pain. There is a whole range of alternative therapies that can help your dog, for instance, hydrotherapy, physiotherapy, massage therapy, and acupuncture. 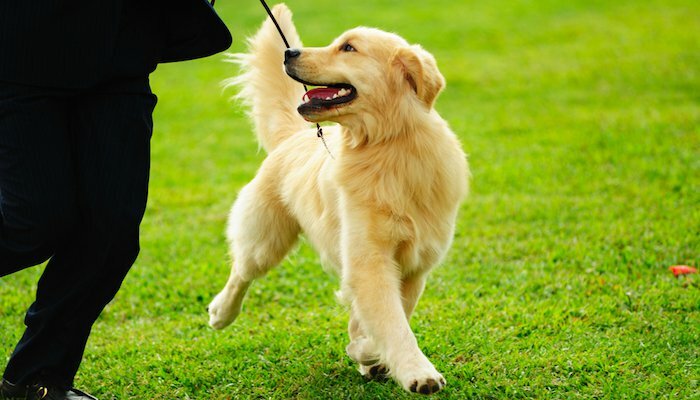 Another way owners are helping their dog is by giving them more natural supplements. Omega 3 fatty acids and glucosamine have both been proven to help your dog’s joint health, and it can also help them become more mobile. You may not know this but CBD can actually help relieve your dog from all the pain arthritis may be causing it, as well as the inflammation. Many studies about the substance have also proven this; therefore, it makes it a great natural solution for your pooch to try. Some people may get CBD and marijuana a little confused, but there’s nothing to worry about as CBD is completely different from marijuana, and it will never make your dog high. This is because it does not contain THC. THC is the compound that makes you high in marijuana, but CBD has less than 0.3% of it, meaning it is not psychoactive; therefore, it will not make anyone or anything high. Research over the years has proven that using CBD is completely safe and it is also more tolerated than other medications that may be offered to your dog. All mammals have the endocannabinoid system, and CBD actually reacts with this. This system is made up of two receptors, which are called CB1 and CB2. These reactors are all over the body; by CBD interacting with these receptors, it will give your dog pain relief as well as anti-inflammation. A large number of studies into CBD have shown that this actually works, as by boosting the endocannabinoid system’s activity the CBD is able to reduce inflammation, and this even includes reducing inflammation in organs, like the pancreas, lungs, brain and the joints. Recently CBD gels have also been proven to be successful in soothing pain and inflammation. The gels are used by placing a CBD patch directly onto the skin, the medication then soaks into the skin and actually gives the patient more steady levels of the drug when it goes into its body. Researchers from the University of Kentucky in the United States found this out after inducing rats with arthritis. They then treated the rats with CBD gels for four days. In conclusion to the test, it showed that CBD in this form still helped reduce swelling in the joints that were affected, plus, it also reduced the pain the rats were going through. CBD is able to help with pain for numerous things, which include cancer and arthritis. There have been many studies into this, and each one has shown that CBD does help with pain relief for humans, as well as dogs and all other animals for that matter. Blake Armstrong told Cannabis Supplements For Pets how CBD helped his dog: “It feels like yesterday when my dog Rosie was diagnosed with cancer and hip dysplasia. If you’re familiar with hip dysplasia, you’ll know that it produces some similar symptoms to arthritis: Due to a malformation, the “ball and socket” in Rosie’s hip didn’t work properly, they were rubbing against each other rather than sliding smoothly. “This caused Rosie a lot of pain and inflammation, which affected her activity levels and lifestyle. Looking for ways to help her cope and enjoy an improved quality of life, I soon stumbled on CBD. I did a lot of research, a bunch of consultations, and finally, we tried it. And trust me, it was an amazing decision! Within just a few days of beginning her treatment, Rosie was a different dog. She seemed in a lot less pain and was much more active. A lot of pet owners are using CBD to relieve some of their symptoms from either diseases or the side effects of medications. Dogs and cats actually have exactly the same endocannabinoid system as humans. This means that all of us react to CBD the same way, however, dogs are in fact a little more sensitive to the effects of it, therefore they do not need as much. 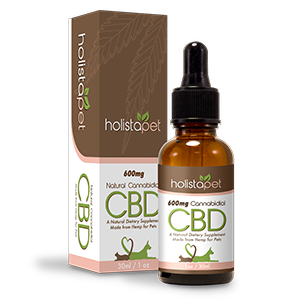 When giving your dog CBD it is very important that you give them the right dosage. You should always check to see how your dog is responding to the treatment, just from this you should be able to tell if they need more CBD or less. You should probably stick to the dosage that is suggested on the packaging, and remember to talk to your vet before you give it to your dog. 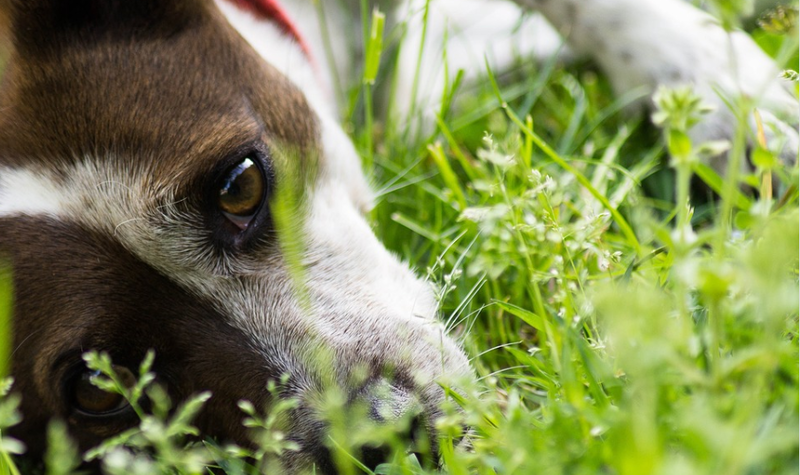 Lots of people across the world have turned to CBD to help their canine companion deal with the pain and inflammation that they may be facing. 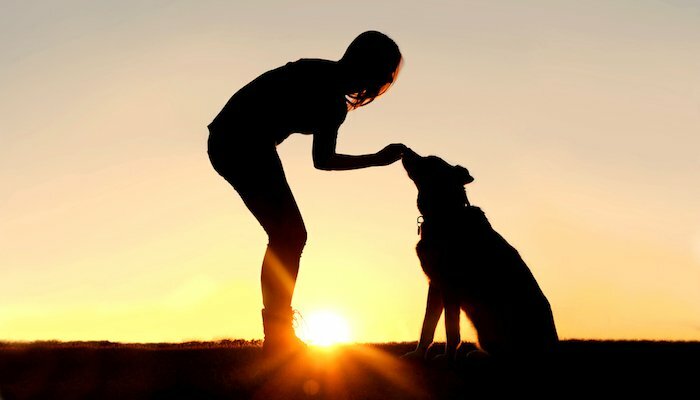 CBD allows them to stay active, so they are able to enjoy activities like walks and playing fetch. Misty is a ten-year-old Pitbull mix and struggles with joint and mobility issues. Her owner said: “ Misty is my ten-year-old, 110 pound Pitbull mix. I rescued Misty several years ago. She’s a former competition-pulling dog. She came to me with a bum knee and now that she’s getting older her hips and back legs seem to be bothering her a lot more. We have tried all sorts of joint supplements to help her get along, but nothing really seemed to give her relief. “Our vet offered tramadol, but she was just a miserable bump on a log. Then it was suggested to try costly Adequan shots. The shots are costly so I started to look into other options for her. I was referred to Canna-Pet and the price wasn’t any more than the joint supplements we previously purchased, so I decided to give them a try for our big Misty girl. Sammie has serious hip dysplasia and struggled to move around, her owner said: “ I just wanted to let Canna-Pet know that you have helped my girl Sammie immensely. Sammie has severe hip dysplasia and was moving around less and less as she aged. She is almost nine now and the addition of Canna-Pet has improved her quality of life a great deal. You may have noticed in the previous case studies that all of them mentioned Canna Pet. 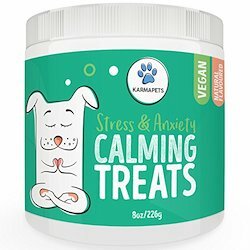 This is a company that produces CBD medication for dogs. There is a whole market for CBD. However, not all of the brands are as effective as some of the others. 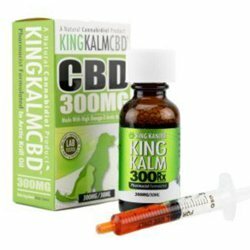 Cannabis Supplements For Pets recommend King Kanine spray or King Kalm CBD oil. But always remember to check with your vet before you give CBD to your canine companion.